This week I got to chat with Robbie922004, a mod author who primarily creates mods for Skyrim, though has been known to tinker in Fallout 4. Robbie started his Steam game collection even before owning a gaming PC and began creating mods, like many, to fix things that he discovered weren't quite up to his taste in the vanilla game. Hey Robbie and welcome to the Sunday discussion, would you mind letting our community know a little bit about you? Thanks very much for having me. Unsurprisingly, my name is Robbie. I’m 24 years old, and I’m from Maryland in the United States, on the East Coast for foreigners who might not know. I like to play music, and I play games probably a little more than I should. Do you have any hobbies and interests outside of gaming? I’m a musician, which is without question my biggest hobby outside of gaming. I play guitar and piano mostly, but I’m also addicted to the ukulele and play that a lot. I can play a little bass, and I have an old full electronic drum kit lying around (never got very good at the drums!). My go-to instrument is a 12-string acoustic guitar. I play lots of classic rock (Beatles, Queen, Elton John, Clapton, Billy Joel, you name it), though I’ll learn any song I enjoy from any genre or artist. I like to record from time to time because I have the equipment. On the digital side of things, I use Propellerhead Reason when I need to emulate sounds from other instruments. I’m also currently a part of two writing projects collaborating with one of my friends, although it’s nothing that’s ready to share, and mostly just for fun. It seems we have a lot of musicians within Nexus Mods, our Terrorfox1234 loves his music and FadingSignal last week gave us a link to his SoundCloud (which I now use as my go to Gym music). Do you keep your music private or do you have a Soundcloud page or a link to a band that you would like to share? Haha, nothing worth sharing. They say that art is never finished, only abandoned, and I’m very much guilty of never finishing anything I start when it comes to music. I have dozens, if not hundreds of recordings that I start, and then get excited about something else, and never go back to the last one. It’s a habit I should break, but in my heart, I’m more of a player than anything. Recording only occupies a tiny portion of all the time I spend on music. Would you say music is your go-to activity to chill-out and relax? Yep, it’s playing music, definitely. The first thing I do every single morning is either sit at the piano or pick up the guitar to wake myself up. I do that for fifteen or so minutes and then either eat, or exercise then eat, and that’s how I start my day. It’s a great hobby for when you’re feeling down, tired, or bored. It’s deeply rewarding so long as you’re willing to put in the time, effort, and dedication. In addition to that, my group of friends and I like to get together to play games whenever we can, usually a few times a week. Different time zones can make this challenging, but it’s been many years, and we haven’t given up yet. And as seems to be becoming pretty popular these days, I’ll sometimes go on a binge-watching spree when a TV show catches my attention. Playing games with your friends would entail a lot of multiplayer/co-op games, what would you say is your go-to multiplayer game at the moment? Overwatch was definitely our most played game of last year, but it’s finally coming to a close and we’re going back to other things. Right now we’re on For Honor (go, Samurai! NIPPON!!!) or Rainbow Six Siege when we have a whole group. We went through a Tabletop Simulator binge thanks to the Heroscape and Eldritch Horror mods, plus some tabletop RPGs, and I recently played through about a 16-hour Civ VI game with one of them. A few of us really enjoy Stellaris. Rocket League was a big hit, and I still play doubles from time to time with one of my friends. As you can see, we have diverse tastes and can get into a lot of different games and genres. It’s good because we can constantly switch it up when we get bored of something. Any game that someone in the group suggests, we’ll all try to get and play at least a little bit. Steam or GMG sales are big for us because we can all suggest something or gift it to the others, and we’ll all get to try it. I’m very much looking forward to the multiplayer update for Stardew Valley. That was my GOTY 2016, and I can’t wait to play it with my friends. Also, binge-watching TV is pretty popular. I know a lot of us here at Nexus Mods like a good TV series, anything you can recommend us at the moment? I finished up Tom Hardy’s Taboo last night, and Mob Psycho 100 a few days before. Obviously two very different series, but I enjoyed both of them to pieces. I’m super into the Marvel films and movies so I’m anxiously looking forward to Iron Fist, (even if the critical reception is bad!). I’m also really enjoying the new 24 spin-off, mostly because I was a fan of the original. For 2016, I watched Westworld, Stranger Things, Mr Robot, Better Call Saul, The Strain, Luke Cage, and a few others. My favorite show in years has been Westworld, though. Everything about that show was great. And the Fallout 4 parallels didn’t hurt for the Bethesda fan in me. If you wouldn’t mind, please can you tell me how you got started in gaming? At what age did you have your first PC/Console and what games did you play? The original Playstation was my first proper console, although I think we had an NES lying around in a closet somewhere, and a Sega Genesis (Megadrive for those outside the US) that we played a bit but didn’t have many games for. I had just turned six years old when me and my siblings got the PS1 for Christmas, and I was hooked pretty quickly. Most of the games we had when we got it were licensed games like movie or TV show tie-ins, and it wasn’t until later that we learned the difference between those and “real” games. The only iconic game we had when we first got it was Twisted Metal 3, which we played tons of. The series of games that seriously gave me my interest in gaming was the Spyro series. That series of games were the first I played that me, and my brothers could tell were just... better than the other games. I think those games have aged wonderfully and I still like to go through them from time to time. I can remember thinking “Wow, I wish more games were like this” even when I was very young and still discovering what my tastes were and what good game design was. Even if I couldn’t put it into words at the time. What first brought you to Nexus Mods? Did you come as a mod author or mod user? User, initially. This was in the Oblivion days. The truth is that I didn’t have a PC capable of playing Oblivion at the time, but I bought the game anyway and had a list of mods I wanted to use. I was heartbroken when I found out my family’s PC couldn’t handle it, and I didn’t start PC gaming properly until 2013 when I finally took the plunge and built my own machine. As a matter of fact, my mom surprised me with the Elder Scrolls Anthology the day after I built my PC (I’d just spent my whole budget on the PC, and my plan was to wait for the then-upcoming Steam Winter Sale to buy more games! ), and as soon as I installed it, I ran to the Nexus to finally start using all the mods I always wanted to. Ouch, having to wait all that time must have been excruciating, but what a nice gesture from your mum. What PC did you end up getting and is it still going strong? It wasn’t so bad because I had accrued a bit of a Steam library from promotions and friends over the years, so I had a lot of good easy-to-run games ready to play. Still running like the day I built it. My CPU is starting to show its age (AMD FX 6300) but I recently got an 8GB 480 to replace the 2GB 7850 I had. I was worried my CPU would be a significant bottleneck but I played some notoriously hard-on-the-CPU games and I’m getting 60FPS on high/ultra, so I’m feeling good. Other than that it’s just 8GB RAM, two 1TB HDDs (one was added later), a 600W PSU, and an ASUS mobo. When did you decide to create your first mod and what was your inspiration? The primary motivation for every mod I’ve made: No other mod exists that does what I want mine to do. I build mods for my use first and foremost and then consider how they can be improved for a public release. 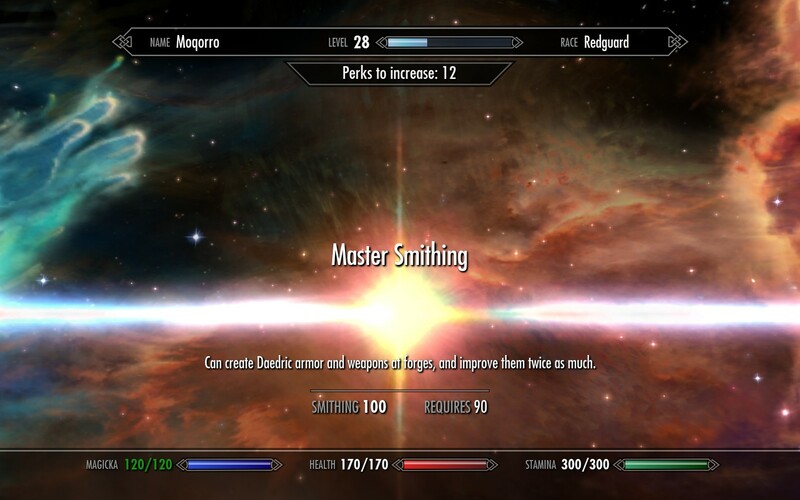 The first mod I made was “Linear Smithing Tree”. I just didn’t want to have to waste so many perks on Smithing just to craft armor for my companions! I had absolutely no idea how the kit worked but was committed to learning, and it took much longer than it should have for a mod so simple. That was soon after I installed Skyrim. I didn’t want to have to always add the perks via the console, and I wanted to learn to mod anyway, so I took a stab. The implementation was okay for what it was, the first attempt. After looking through all the mods you have produced, I like the sound of ‘Equippable Tomes’. How did you come up with the idea for this? I have peculiar tastes about magic scaling/perk mods. I’d never found a magical damage scaling mod that was really up my alley. The absolute biggest thing I feel is missing in Skyrim when playing a mage is a sense of equipment progression -- As a warrior, you’ll be getting new armor and weapons throughout a whole playthrough that changed your effectiveness. With magic, your equipment only affects how much it costs to cast, not the damage. This can lead to a sense of stagnation for me. My inspiration for Equippable Tomes was the idea that the tomes could function like magical weapons. You’d get new versions of them as you progressed, and your damage with spells would increase accordingly, much like finding new weapons with a warrior. When I felt like I might want to do it, I asked Dragten of Bandolier fame for permission to use his book-on-belt mesh/textures. He said yes, and I felt obligated/encouraged to start straight away, so I did. Everybody should be thanking him, or there would be no Equippable Tomes. Taking a mod such as either ‘Mainland Stalhrim’ or ‘Equippable Tomes’, can you let us know how long mods like this would take you to produce from start to finish? How many hours would you say you have put into them? Mainland Stalhrim was made in a morning when I was bored, maybe three or four hours all told (with plenty of idle time). It was a really simple thing that just required a wiki tab open to a list of Nordic Ruins so I could consider which spots would be best for Stalhrim to be added to the mainland. Equippable Tomes was actually only a few days of real development. I hadn’t worked with meshes or textures before so as soon as I got a handle on that (which took a few hours spread across a few days) I set out on making an actual mod of it, and it was mostly a lot of what I like to call braindead busy work, that involved copying and editing dozens of records that were all somewhat similar, then tweaking values or copying conditions as I needed. Extended Stay took probably a few days, but that was for a different reason: Lots of trial and error in figuring out how the vanilla inn rental system worked and then mimicking it. Surprisingly small amount of info on that available, so it was a little challenging for me. And Patron Gods was about a week of development after about a week or so of thinking up various ideas for each buff, although the initial goal was a weekend challenge mod. Couldn’t make the deadline, though. Just taken a look at Witchhunter, they are awesome spells that you have added to the game and what a fantastic mod! My personal favourites being the freeze time and lightning speed (very Matrix like to me). Where on earth did you get all your ideas for these spells and how much time, effort and research went into that mod? I just wanted to play an arcane archer character a la Fable, but there’s no good way to do that in Skyrim because you’d have to switch between weapon and magic constantly. A few mods already existed to alleviate this, like Smart Cast, but I wanted something that had a focus on synergizing with weapons, rather than casting existing spells. It was originally only going to be spells that augmented your weapons with powers like elements or paralysis, but grew from there. I’d learn to do something accidentally in the kit and then realize that I should include it, and it just spiraled out of control. Witchhunter took me the longest of all my mods by far. That was probably about three months of off-and-on work, and it was the first “real” mod I made. Most of that time was learning the kit and following tutorials. I bit off more than I could chew, and as a result it took a lot more time learning than developing. There are quite a few things about that mod I’d do differently in hindsight, but it’s mostly backend. It might be rough on the inside, but I think it works pretty well all-told. The prayer spells in Witchhunter are where Patron Gods came from. A friend said the prayers were cool, but he missed the patron deity angle from old RPGs or tabletop games, and said I should do that. I didn’t feel like it fit with Witchhunter, but I kept it in mind for the future and then we came up with all the ideas for Patron Gods together. How did EPO (Efficient Perk Overhaul) come about, it's a very good idea, was it one of those epiphany moments where you just thought to yourself “You know what, I just don’t like how the vanilla game operates”? I sometimes feel like I’m the only person in the modding community who is mostly okay with the vanilla perks. Big exception is that I don’t like how big of a perk sink crafting can be, and I don’t like the “base perks” that just give +20% effectiveness to a skill. I was tired of wasting so many perks points on boring perk sinks and not having enough left over for the more interesting perks. So my remedy was to make it work a bit more like Oblivion. If you level the skill, your effectiveness is increased to the point of viability. I’ve literally played a character where I had almost 100 Block, but my blocking was still bad because I put my points into other skills and had none left for Block. It was crazy to me. Maybe I wouldn’t be a master shield-bearer without the perks, but it shouldn’t be as useless as it was. Then the crafting trees were just rebalanced for fewer wasted perks. Crafting feels almost mandatory to me, and it never made sense that you’d have to sacrifice so much from your other skills for it. Plus, you can be a master Daedric Smith, but can’t work with glass unless you’ve gone down both branches of the tree. I’d say EPO is my most niche mod, and I wasn’t even going to release it because I felt the interest was low. Although it’s not popular, the people who do use it seem to like it a lot, which I feel means I found some people within that niche and provided exactly what they wanted. In a way, it’s kind of cooler than a mainstream hit like Equippable Tomes. Fewer users, but the ones who are around are very pleased. Your mods are (from what I can gather) mostly aimed at the Mage class, is this the role you like to play Skyrim? This might surprise some people but no. I mostly play warriors! If anything, I’d say my mods that pertain to magic are directed at battlemages or hybrids, at least for my use. Making magic more useable/accessible for non-mages. And even then, the only two that I’d say are fully about magic are Witchhunter and Equippable Tomes. I’ve played many hours of Skyrim over the years for both console and PC. I’m not one of those guys who mods for a million hours and then only plays once. In all that time I’ve only done one pure mage character, compared to probably a dozen other characters that were warriors or thieves, and only two battlemages. Even so, I like to use my mods because it seems like every character I play uses at least a little bit of magic, even if it’s just healing. Witchhunter was designed specifically because I wanted to play an arcane archer build, for instance, but it was still an archer first and foremost. Do you ever create mods that are solely for yourself? Ones that you don’t put onto Nexus Mods? Sometimes. There’s maybe one worth mentioning. I wanted to have one of my characters have a pet Snowy Sabre Cat, so I have a little mod that uses a summon power to permanently call a custom sabre cat called “Nym” (ASoIaF references!) that levels with the player and has damage that scales based on level as well. Then she can also be dismissed with another power. I was going for a “when Nym’s not hanging out with me, she’s out hunting” vibe so I only called her while outdoors. Not really good for release, but it was fun for me. I do make a lot of edits to mods I download for my personal use. So many that I’ve considered throwing a “Robbie’s Miscellaneous Patches” page up on the Nexus just in case anybody wants similar edits to popular mods for convenience, bug fixes, or minor changes. Is there any game that you would like to learn to mod that you don’t currently do? XCOM 2 and Civ V/VI, definitely. They have amazing mod communities, and part of me regrets not getting in on XCOM 2 modding during the height of the hype. The toolkits are huge, though! They include all the uncompressed game assets when you install their development kits, so whenever I feel like trying I remember the 65GB size and feel a bit discouraged. It’s also quite a different experience from modding Bethesda games, because all work requires direct editing of code and text. One of these days I’ll finally give it a go. Small shoutout to our very own GrimyBunyip of SkyTweak fame, who created and maintains one of the most tremendously popular mods for XCOM 2, Grimy’s Loot Mod. And I recently did a mod for Tabletop Simulator, a full scan/stitch of a game board and all the pieces. That was a fun process, and it was mind-blowing watching something go from an old board game I have lying around in real life to being available digitally for everybody. I could see myself doing more of that. You mention other communities that you think are amazing - are you a member of these and is there anyone in any of them that you would like to give a shout out to? Absolutely. Although I’m only an author within the Skyrim community, I love to use mods for many different games. I already mentioned XCOM and Civ, which have huge and thriving mod communities. For Civ, there’s so many it’s hard to choose what to mention. I love the Mass Effect civilizations mod, whose author was so committed making it perfect. The Elder Scrolls civilizations mod is great too and would be something many Nexus users would love. There’s also a really great Song of Ice and Fire mod that really fits the Civilization gameplay and setting. Plus tons and tons of smaller, quality of life mods. XCOM is no slouch, either. XCOM 2 has crazy mod support, and that’s a direct result of a famous mod by the name of Long War for XCOM: Enemy Unknown/Within. Those authors formed a studio to create their own game, now called Pavonis Interactive, and even worked directly with Firaxis during development of XCOM 2 to help create the mod support for the game. Then 2K commissioned them and spent good money for a series of semi-official mods, which are frankly better than the official DLC! And that mod support is only possible because Jake Solomon and Firaxis were such huge fans of the original Long War, going so far as to say "We're basically a 20-hour tutorial for Long War, and that's okay.". The humility from both the developers of XCOM and Pavonis is inspiring. In many ways, I almost feel like this is where the Bethesda modding communities might go someday. Modders contributing directly to the game, working with the developers. Going back a little bit, the Sith Lords Restored Content Mod (TSLRCM) for KOTOR II is hands-down one of the most brilliant mods for any game, ever. Some backstory is that the game shipped very unfinished because of a publisher rushing the development, but Obsidian left the cut content on the disc, unfinished, in the hopes that modders might someday restore it. It took years, but they did it, and the results are a game that became one of the finest and most complete RPGs ever made. All possible because of mod authors. Chris Avellone personally acknowledged them for their hard work, and encouraged everybody to use the restored content mod. I mentioned Tabletop Simulator. The Heroscape mod is superb, complete with dozens if not hundreds of 3D models that take so much time and effort, but the author does it anyway out of love of the game. Then you have mods like Eldritch Horror that are a little more straightforward and involve scanning lots of cards rather than many 3D models but are no less impressive. And finally, I even discovered that the Zoo Tycoon modding community is still active to this day, sixteen years later, albeit on mostly private sites, when I installed it last year for some nostalgia. Modding communities never cease to amaze me with their dedication and fantastic work. It’s astounding. The gaming world would truly be lesser without the mods for all these different games. 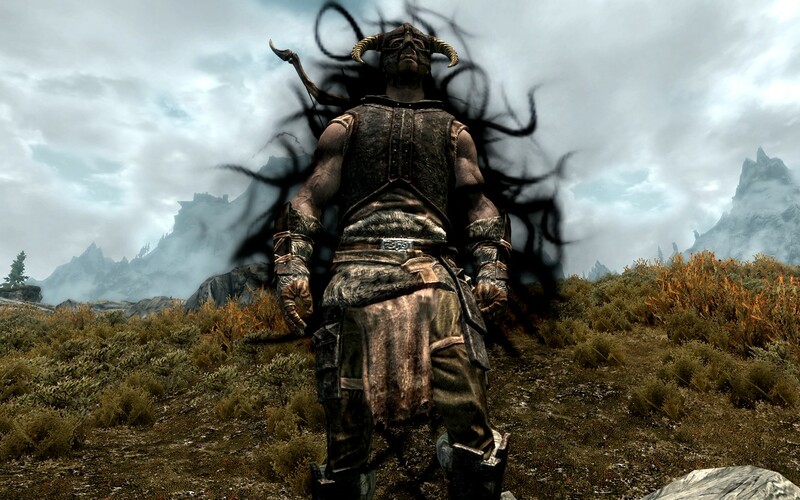 If you had to only choose ten mods for your next run through of Skyrim, what would they be and why? Can I cheat a little and count my holy trinity of magic mods, Apocalypse/Lost Grimoire/Phenderix all as one? I love weapons and armor mods for two big reasons: Variety, and helping you achieve a look for your character that you like and identify with. I think armor goes a long way for RP. Immersive Armors and Cloaks of Skyrim are my two favorite mods for Skyrim, ever. Immersive Armors because of the high quality of included armor, expert implementation, and crazy customizability (thanks Hoth and Eckss!) and Cloaks because it’s something that we always dream about being included in the vanilla game, and is done to a very high quality. Add Immersive Weapons into the mix and you’ve got so much extra variety compared to the vanilla game. A Quality World Map is such a great mod; I don’t think I could live without it. Roads being marked goes such a long way. The Notice Board is my favorite quest mod. It’s everything that’s good about the radiant quests and is in my mind unmatched as a “bounty board” type mod. Great way to delve into dungeons you’ve missed/never done, and plenty of variety. Moonlight Tales Overhaul is, bar-none, my favorite lycanthropy mod ever. It gives me everything I want out of a werebeast experience, and it’s all customizable. True Storms is honestly the only weather mod I use. It’s just what I want. It’s simple, to the point, and works perfectly. I was initially sold by the sound effects and heavier rainfall, but what ended up being my favorite feature is the interior rain sound. It’s just perfect in every way. With Warmonger Armory, what I like the most is the Dragon Priest masks that you can wear on the belt. 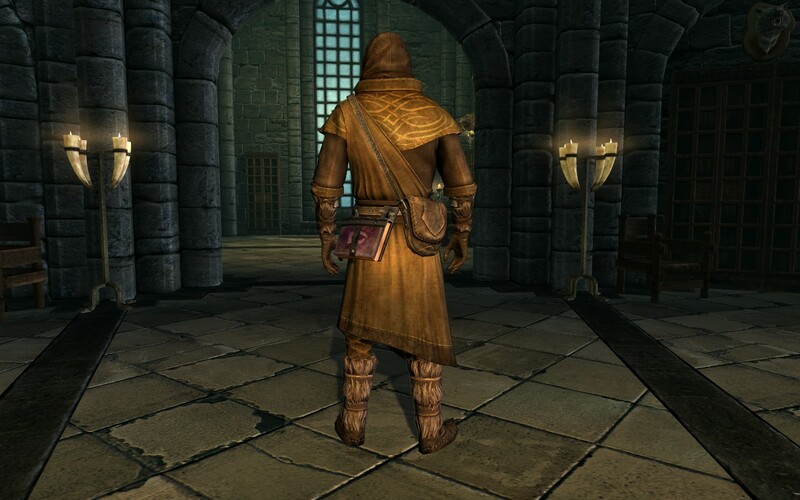 The armor sets are great too, but there’s something satisfying about beating a Dragon Priest and then strolling into town with his mask on your belt. This was also a big inspiration for Equippable Tomes! Quick Loot is a perfect Fallout 4-style loot menu that I really feel weird playing without now. Absolutely amazing mod. And finally, the magic mods… I know, I cheated a little bit, but it’s too hard to pick! All of them add so many cool spells that extend the utility of magic in such a big way; it’s impossible to pick just one. They all go well with each other, and they’re all great in their unique way, and I’d never play with one of them but not the other two. And if I’m allowed to name one of my mods as a bonus, I find it very difficult to play without Efficient Perk Overhaul (EPO) these days. This is such a sadistic question because I have so many favorite mods that I’d love to sing the praises of, but if I did that we’d be stuck here all day and I’ve rambled too much as it is! All, bar one, of your mods is for Skyrim. Did you play through Fallout 4 and if so, what has stopped you modding more for that particular game? I adore Fallout 4. But the truth is that I only get inspired to make mods just before or during a playthrough. My most recent mod, Mainland Stalhrim, came one day after I started a new character, for instance. 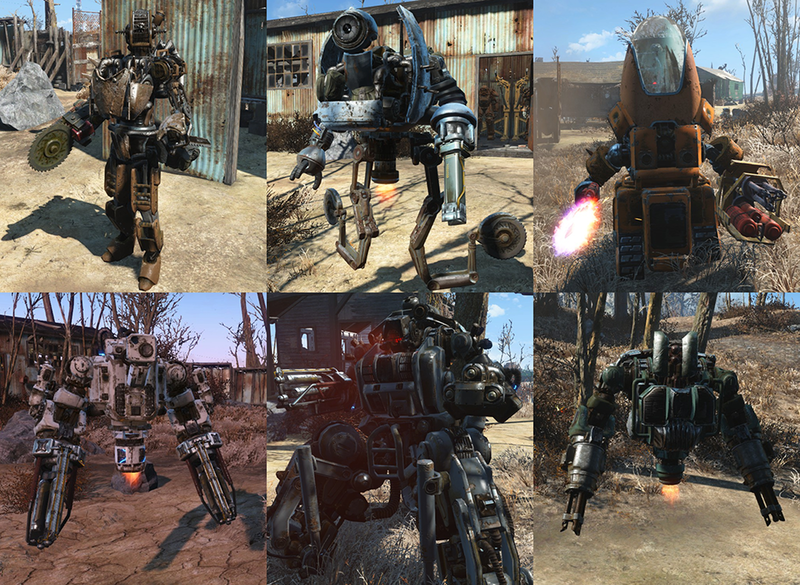 I binged Fallout 4 hard right at launch, and then took a break and wasn’t feeling terribly inspired to make mods when the Creation Kit rolled around. It’s more exciting when you’re about to play through, I think. Considering how to customize the experience that you’re about to have, or how to add something you’ve always wanted to play with. Just yesterday I was playing catch-up on all the amazing Fallout 4 mods that I’d missed and feeling really into doing another playthrough soon. I have no doubt that when I go back to Fallout 4, there will be things that I want a mod for, but no mod for it exists yet. When that happens, I’ll probably make some more mods. I did have a perk overhaul mod planned right near launch but finding out you couldn’t freely rearrange the perk chart was a huge bummer. You can’t even move the icons that already exist because they become misaligned in the chart without some knowledge on editing .swf files. How about Skyrim Special Edition? I can see that you have added a few of your mods to the Nexus Mods Skyrim SE page, do you have any plans to transfer anymore? I ported everything I felt was good enough to be ported or that I wanted to use myself. The ones that I haven’t ported are ones that I feel are unsupported, namely Linear Smithing Tree and Simple Enchanting Tree (they’ve been superseded by EPO). And the Slow Time bug fix, because that’s now included in the unofficial patch. When you play Skyrim now which version do you tend to use, Skyrim SE or Oldrim? 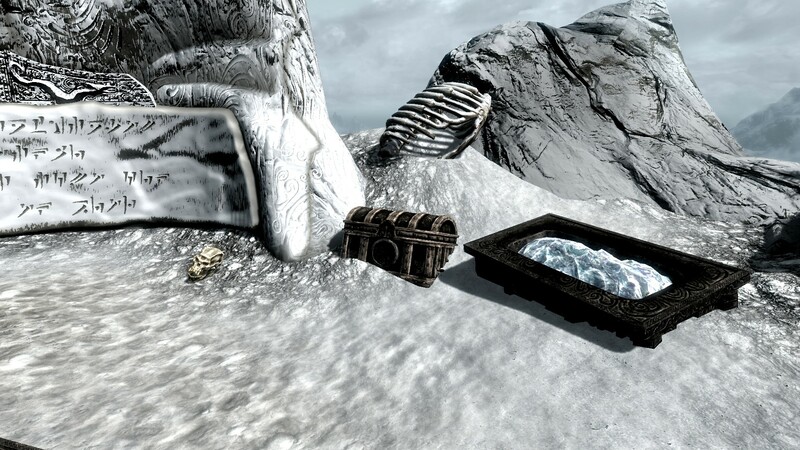 OG Skyrim. SSE is missing a lot of my favorite mods, and I don’t really use any graphical mods at all, so the added performance isn’t something that has any effect; I get 60FPS regardless because I’m running the game with vanilla visuals, and my hardware can handle vanilla just fine. It’s a matter of choosing whether to play the old version, which still has my favorite mods, or giving some of those mods up for enhanced visuals. For me, I’d rather have the content and excellent work of the mods I love than the visuals of SSE. The #1 SSE-only mod that I’m missing out on is the newest edition of True Storms. I’ve played a bit of SSE, and the blizzards from Fadingsignal’s latest update are insanely good. I hope the update finds its way back to OG Skyrim someday. The mod page indicates that it will. It’s a top-notch mod, absolutely love it. Are there any mod authors that you look up to or have helped you out in the past? Dragten helped me out big time with Equippable Tomes. He made the book meshes/textures and then gave me permission edit/release them. Also tueffelachtein, Oaristys, stoverjim, and Blary for their excellent resources. Two of my non-modder friends helped with some mods. One with ideas, balance, and concepts, and the other with technical work in Papyrus (he’s a real programmer by trade, unlike me who just fakes it until it works). Thanks to Marshall for the ideas and Journal of a Reveller. Thanks to Jordan, for the support. Couldn’t have done it without you. The authors I look up to the most are ones who both make great mods, and are positive influences within the community. Chesko comes to mind here. He’s always polite and willing to lend a helping hand, and always goes above and beyond. He’s really one of the very best authors in the community. Great content and a great guy. His frameworks and documentation are second to none, and they’ve enabled me to make Campfire add-ons for a few of my mods. Thanks Chesko! Fadingsignal, Hothtrooper99, Eckss. Darkfox127 for his great tutorials. Gopher for both his mods and his Youtube content. IsharaMeredin is very active on the forums to help with questions and obstacles in mod development. I love Steelfeathers’ work for both Skyrim and Fallout 4. His creature cage overhaul for Fallout 4, Beastmaster, seems like it was torn directly out of my dreams for what I wanted beast taming to be in Wild Wasteland. Elianora, Expired, Verteiron, meh221, Brevi, GrimyBunyip, opusGlass, the list just goes on and on. 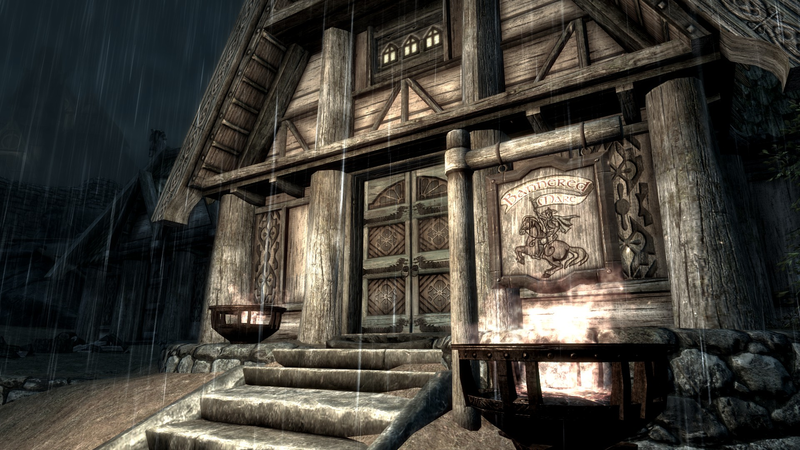 And finally, the Skywind team over at TESRenewal is one of the greatest corners of the community. The quality of their work is extraordinary. They’re still making breakthroughs five years later. They recently figured out custom animations and skeletons without the use of FNIS, which is something the community had written off as impossible long ago. I’m proud to say that I’m every bit as excited for Skywind as I am for the next Elder Scrolls game. There are so many authors who do such great work. I know I’m forgetting a fair few just because of a lot of talented people who are part of the community. Hope that answer wasn’t too long, but the community has so many great contributors it’s easy to get carried away. What would you say are the best resources out there for learning how to mod? Darkfox127’s tutorials on Youtube were the biggest thing for me when I was purely a beginner. They’re great, and if they didn’t exist, my mods might not exist. He covers so much in a very approachable way. They still help me from time to time when I’m stuck. The Creation Kit wiki is go-to for syntax, but also good old-fashioned googling for example scripts and forum posts (which are usually from the Nexus). Can’t tell you how many problems I’ve solved by googling “best way to do X with papyrus” or “how to do X scripts” and following the Nexus forum links. If you could give any advice to a new modder, what would it be? Start small. Always start small. If you have big goals that involve many areas of the kit, you need to learn each area so you can implement everything to a high standard. I think many modders might be familiar with biting off more than you can chew, and it’s a problem that’s worse when you jump straight into something huge instead of starting small. I know, because it happened to me. Thank you so much for agreeing to talk to me, it’s been a pleasure. Do you have any mods in the works that you would like to plug? I for one am definitely looking forward to seeing what comes next from you. Thanks again for having me, it’s been fun. I don’t have anything in the works right now that I’m fully sure will see the light of day, but something tells me that I’ll be revisiting both Skyrim and Fallout 4 in the future with a few ideas I have in mind. I play skirim mod predator the lost tribes, an amazing game. I fell in a pool and realized my predator started to swim on its own. I was very happy to see i was not sinking like a stone. I did not know it could do that. He sounds like such a cool dude. Having nice people in the community is almost as important as uber experienced modders like Chesko. Very interesting read, too, I checked out all his and the mentioned mods and some found their way in my beloved standard load order. Thanks Robbie and thanks BlindJudge for featuring him! The FX-6300 is a beast of a processor. I put it in the computer I built last year, just because it's still good enough. Thank you, learned a lot, please keep up the good work. Thanks very much for the shout and for letting me participate. It was fun! That has now been added. Highly recommend checking them out. I did! I didn't know he had made so many great works!